Upon graduating from law school, Jeremy was offered a judicial clerkship with the Honorable George C. Metoyer, Jr. at the 9th Judicial District Court in Alexandria. During his judicial clerkship, Jeremy performed extensive research on civil cases that came before Judge Metoyer, including the largest class action and toxic tort lawsuit filed in Rapides Parish history (Cynthia Paige, et al v. Dura-Wood, L.L.C., et al). While clerking for Judge Metoyer, Jeremy was also personally requested by the Honorable John C. Davidson and the Honorable Patricia E. Koch to serve as their acting law clerk until a permanent law clerk was hired. 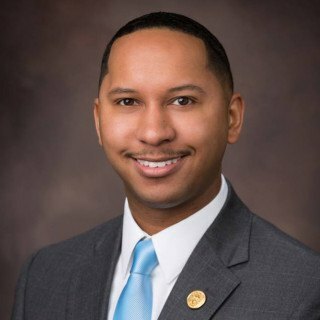 Throughout his clerkship, Jeremy volunteered at the Rapides Parish District Attorney's Office, and shadowed several attorneys and judges in Central Louisiana, including the Honorable Phillip J. Terrell (former Pineville City Court Judge). After clerking at the 9th Judicial District Court, Jeremy moved to Lafayette where he worked in the legal department of Hub Enterprises, Inc. for two years. In 2016, Jeremy joined The Glenn Armentor Law Corporation, a Martindale-Hubbell rated AV Preeminent™ law firm, where he currently practices personal injury and workers' compensation law. The Glenn Armentor Law Corporation is firmly established as one of the pre-eminent plaintiffs' litigation firms in Louisiana. For more than three decades, our personal injury attorneys have been providing experienced legal assistance to those seriously injured due to workplace compensation accidents, auto accidents, maritime accidents, chemical explosive accidents and medical malpractice. We are committed to upholding the highest standards of safety and fairness in Louisiana's industrial and offshore sectors and are dedicated to representing our clients with incomparable intensity, quality and efficiency. For more information, please Like our Facebook page at The Glenn Armentor Law Corporation. HUB Enterprises, Inc. is a privately held corporation based in Lafayette, Louisiana that provides insurance defense investigation services throughout the United States. Law Clerk to the Honorable George C. Metoyer, Jr.
Activities: To shape a culture of excellence in American jurisprudence by promoting a commitment to professionalism, ethics, civility and legal skills in the practice of law, and transmitting these values from one generation of lawyers to the next. The 705 Young Leaders for a Better Acadiana, Inc.
Lafayette Bar Association: Member Spotlight - Jeremy A. Bazile, Esq. The Glenn Armentor Law Corporation, Why Hire US. With an incredibly successful history spanning more than three decades, there are countless reasons why you should hire our law firm- namely, thousands of satisfied clients and untold millions in settlements and verdicts! However, we have narrowed it down to the Top Reasons to Hire The Glenn Armentor Law Corporation. A video presentation produced and presented by Jeremy Bazile for Louisiana Sale and Lease (law school course). The presentation provides information on the duration, reconduction, and dissolution of a lease according to Chapter 13 of Professor Nadia Nedzell's textbook, "Louisiana Law of Sale and Lease." A video presentation produced and presented by Jeremy Bazile for Law Office Practice (summer law school course). The presentation provides information on the infrastructure and administration of a newly-established law office. A video presentation produced by Jeremy Bazile, and presented by the law students of Southern University Law Center in Baton Rouge, Louisiana, that discusses the disparities of weight discrimination and how they are affected by the law and poverty.